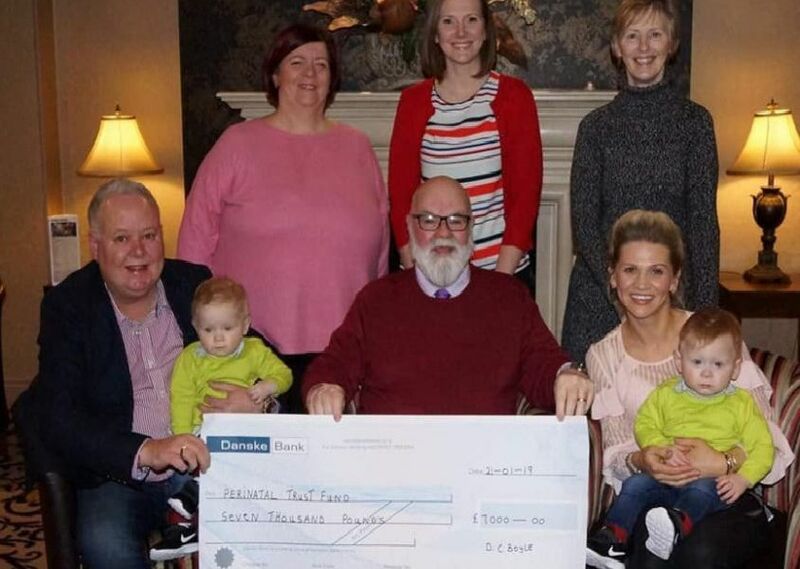 Coleraine’s Caring Caretaker held his annual charity cheque presentation evening in the Lodge Hotel recently. Davy Boyle raised a massive £31,000 this year and as a result was able to present cheques for £7,000 each to the Alzheimer’s Society, the NI Children’s Heartbeat Trust; Charlene’s Project and the Perinatal Unit at the Royal Victoria Hospital. The Caring Caretaker's annual cheque presentation took place at the Lodge Hotel, Coleraine. Among the recipients were the Children's Heartbeat Trust who received �7000. The Caring Caretaker's annual cheque presentation took place at the Lodge Hotel, Coleraine. Among the surprise recipients were the Causeway Tandem Club who received �1,500. The Caring Caretaker's annual cheque presentation took place at the Lodge Hotel, Coleraine. Among the surprise recipients were the Causeway Coast Special Olympics Club who who received �1,700. The Caring Caretaker's annual cheque presentation took place at the Lodge Hotel, Coleraine. Among the recipients were Charlene's Project who received �7000.